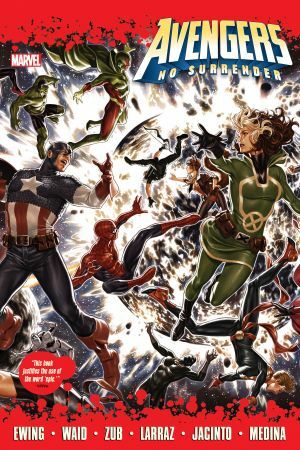 Collects Avengers (2016) #675-690. When the Earth is stolen, it triggers the end of an era for its Mightiest Heroes! The sky burns while mysterious cosmic objects crash down from above, wreaking havoc across the world! The Avengers are the last line of defense against the forces threatening to tear their planet apart — including Thanos’ Black Order and the new Lethal Legion! So it’s time to assemble like never before! 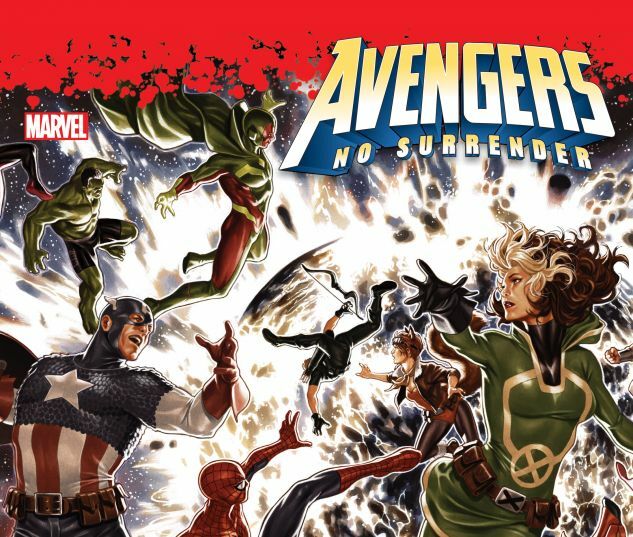 The teams you know and love from AVENGERS, UNCANNY AVENGERS, U.S.AVENGERS and OCCUPY AVENGERS come together to face a mysterious threat beyond any they’ve ever known in a truly epic adventure! Heroes will fall! Icons will return! And prepare to meet the newest original Avenger: Voyager! Who is she, where has she been —and why don’t you remember her?